It was really a case of having the right people, at the right place, and the right time. Ho Song En spent most of his private equity career dealing with multi-million investments, but in just a few years, found himself talking to his former boss about the difference in quality between burger wrappers that cost one cent each and 1.5 cents each. 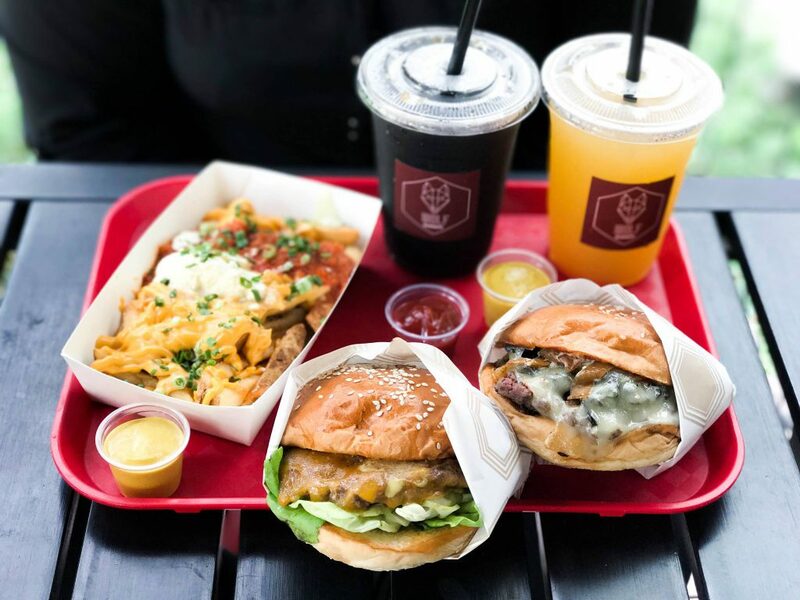 While there’s no immediate link (or any at all) between private equity and F&B in most situations, the connection is apparent in the story of homegrown gourmet burger joint Wolf Burgers. “We ventured into F&B partially due to my background in private equity, where I had a fair amount of exposure to various consumer-related sectors across APAC,” Mr Ho shared in an interview with me. 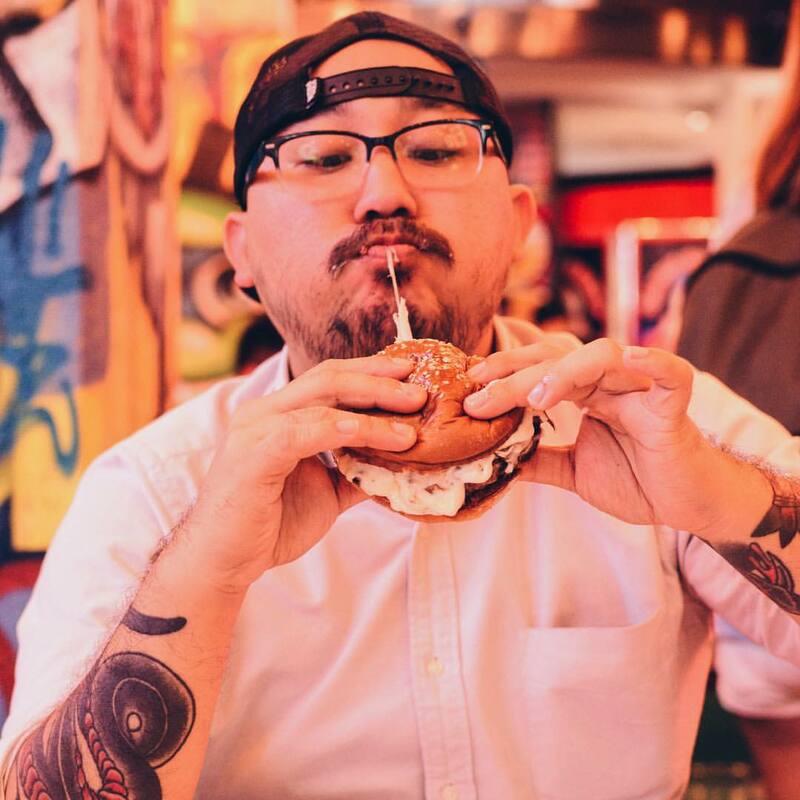 Wolf Burgers isn’t his first rodeo, though, and his first venture with co-founders and “foodie friends” Serene Chua, Sarah Lin, and Soh Wen Ming was (the now shuttered) Carvers & Co, an eatery specialising in roast meats. The friendship between the quartet had its beginnings in 2010, when Mr Ho introduced Ms Chua to longtime friend Ms Lin. Soon after, an opportunity to set up a “little bistro” appeared, and “everything fell into place”. In 2013, they established Carvers & Co, which had a menu that featured “hearty meats” and was “brunch-focused”. “The objective was to cater to the local residents and give them a warm, friendly, and no-nonsense place to ‘come home to’,” Mr Ho said. 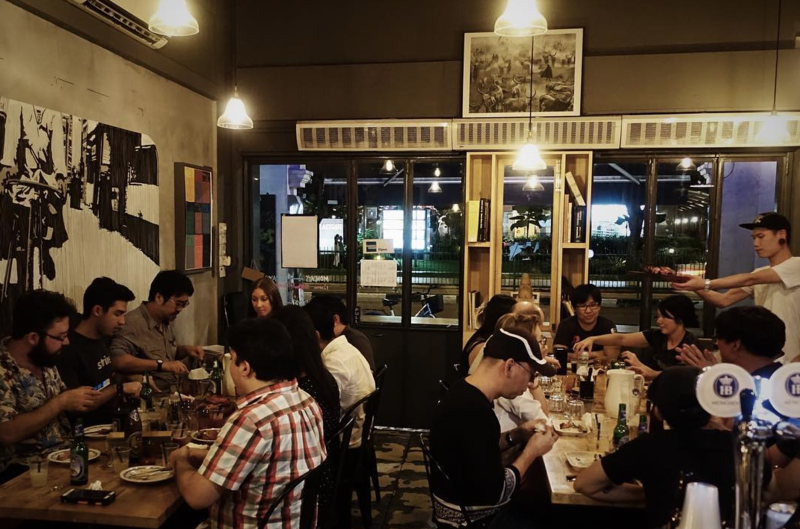 FIrst-time F&B entrepreneurs then, Mr Ho recalled that he still finds it “hard to believe that [they] opened with no full-time staff and zero experience in the industry”. We were enveloped in challenges – from finding suppliers to creating menus, attracting staff, and developing cost control processes. 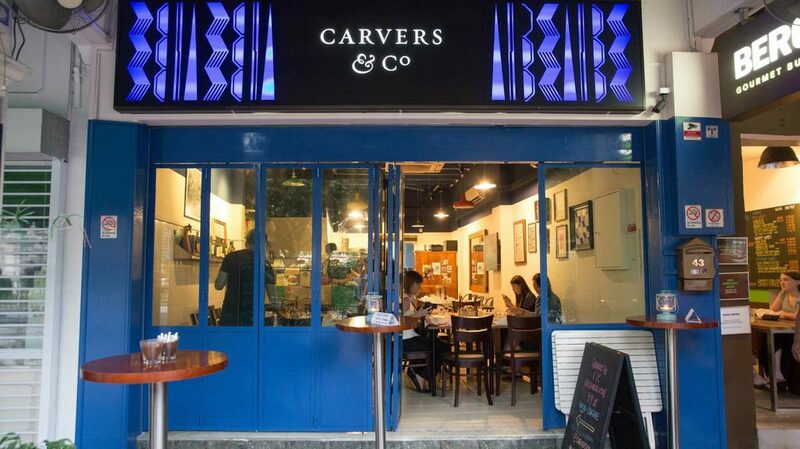 In Sept 2017, Carvers & Co became CarversX, and relocated from the quirky neighbourhood of Katong to the bustling Marina Bay. “We wanted to have a presence in the CBD area to cater to a larger crowd, and the location in Asia Square allows us to do so,” Mr Ho explained. In a bid to cater to the CBD crowd, they retained their protein-centric menu, but gave it a twist to cater to “time-starved, more diet-conscious working professionals”. At CarversX, they have ‘grab’n’go’ options for those who don’t have the luxury of a long lunch break, and even incorporated plant-based meat alternatives like Beyond Meat and Omnipork into their menu. While Carvers & Co at Katong doesn’t exist any longer, one iconic item still lives on at Wolf Burgers. 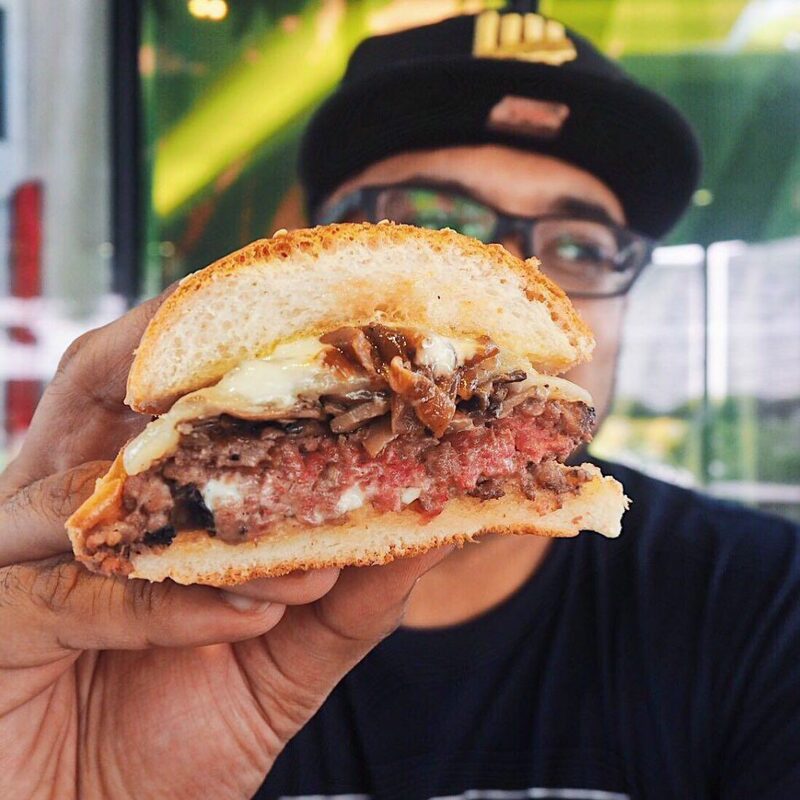 The dish in question is their General Burger, which was named one of the top 3 burgers in Singapore in a burger challenge in 2015. 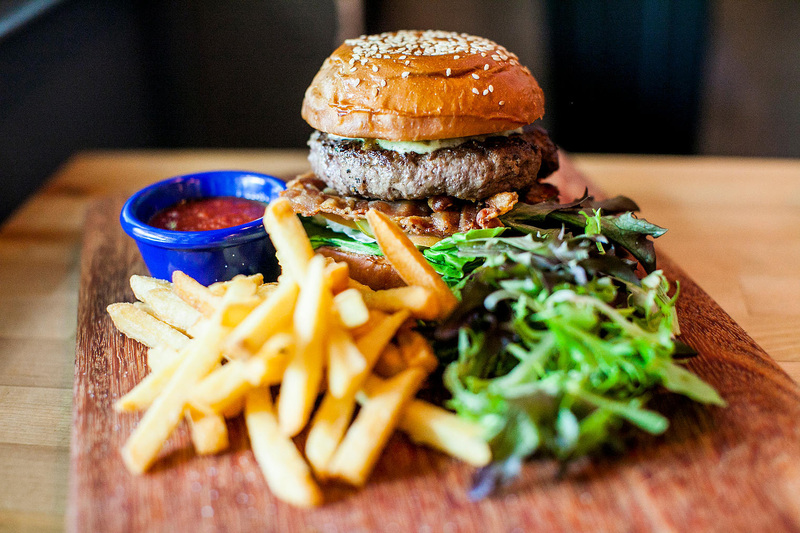 Motivated by the burger’s positive reception from foodies and critics, they decided to take it one step further and create gourmet burgers that more could enjoy. 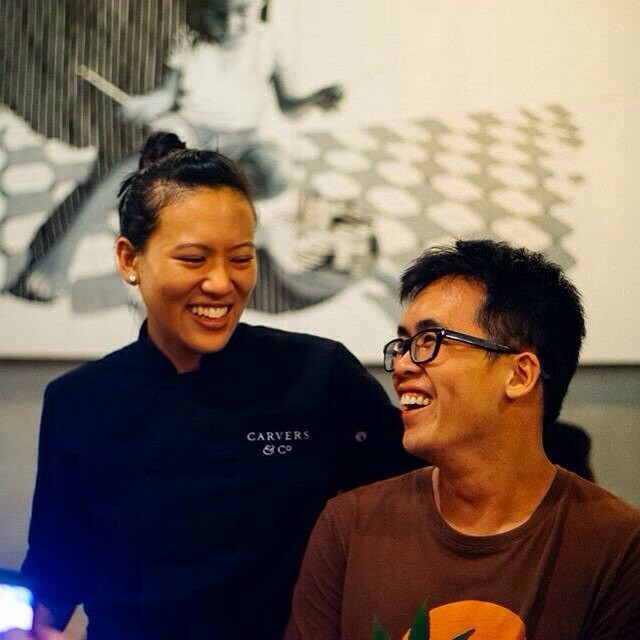 “Our philosophy is to bring a wonderful, exciting, and complete gourmet meal for customers at accessible price points, coupled with great service in an edgy setting, where our customers can catch up with friends and family,” Mr Ho said. 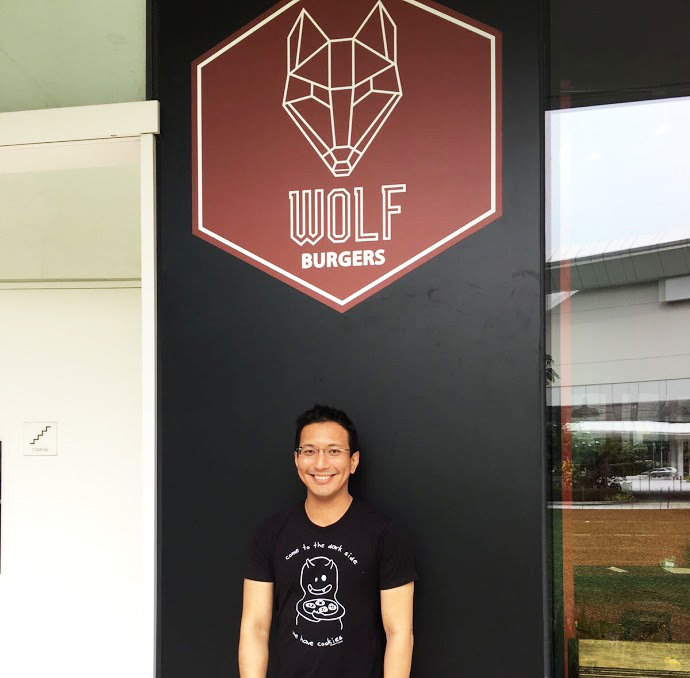 Naming their (then) new venture ‘Wolf Burgers’, Mr Ho shared that they chose the name because it reflected certain aspects of what the team believe in. 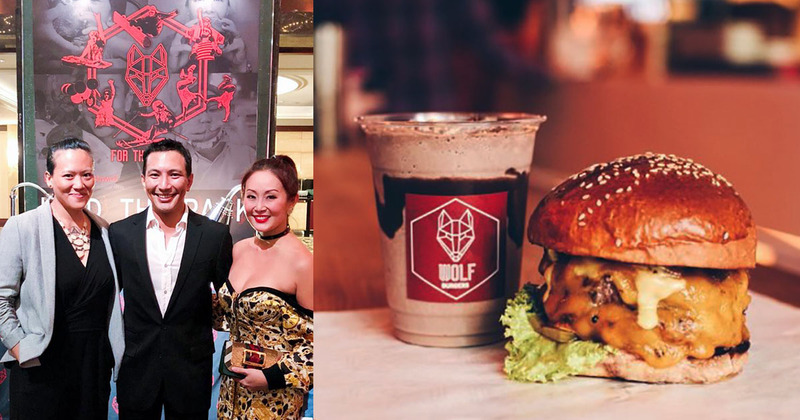 They opened their first outlet at gourmet food hall PasarBella, a location with a “fun, young, and edgy” image that fit their vision for Wolf Burgers. That’s not the only thing they take pride in – all their offerings are also homemade. True to their vision, they are also “keen believers” in technology, and launched a Wolf Express app that allows diners to skip the queues and order in advance for pick-ups. Mr Ho also revealed that they will be launching “various initiatives to help improve efficiency but still allow staff to interact personally with customers”. “This will hopefully go far in creating a seamless and memorable experience for our customers,” he said. It’s therefore no surprise that they’re also leveraging on food delivery services to get their burgers out to more hungry Singaporeans. 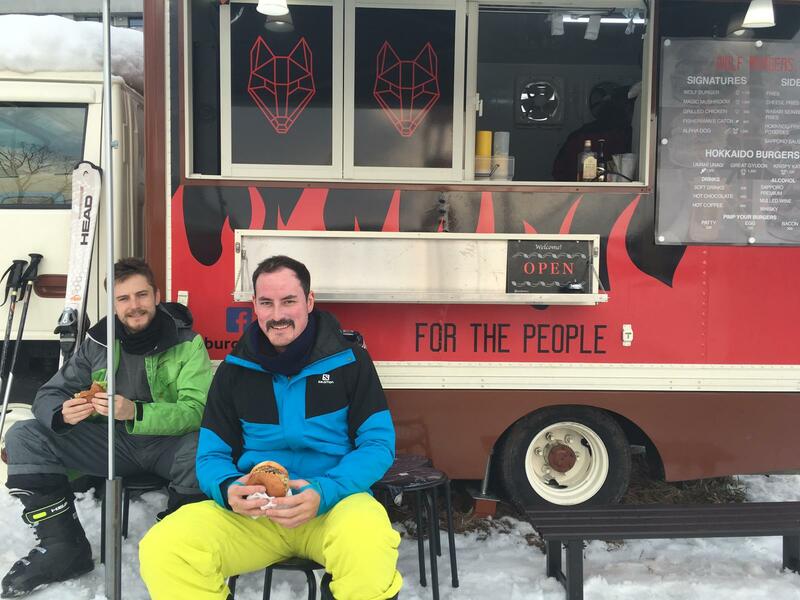 To ensure that they get to serve as many diners as they can, Wolf Burgers is also located at Deliveroo Editions, which acts as a central kitchen for themselves and other establishments too. “[Deliveroo Editions] helps us expand our reach and customer base, while saving on overhead costs to set up in new areas,” shared Mr Ho. We love the concept of being able to bring a ‘virtual’ Wolf to consumers without having the scour around for the right physical space. By sharing various infrastructure costs with other partners and operators at Deliveroo Editions, it allows us to expand efficiently and rapidly. “We have also been experimenting with some new flavours and potential spin-offs, which customers can look forward to shortly,” he teased. Beyond their 3 outlets here, they have also expanded overseas recently – to Hokkaido, to be specific. 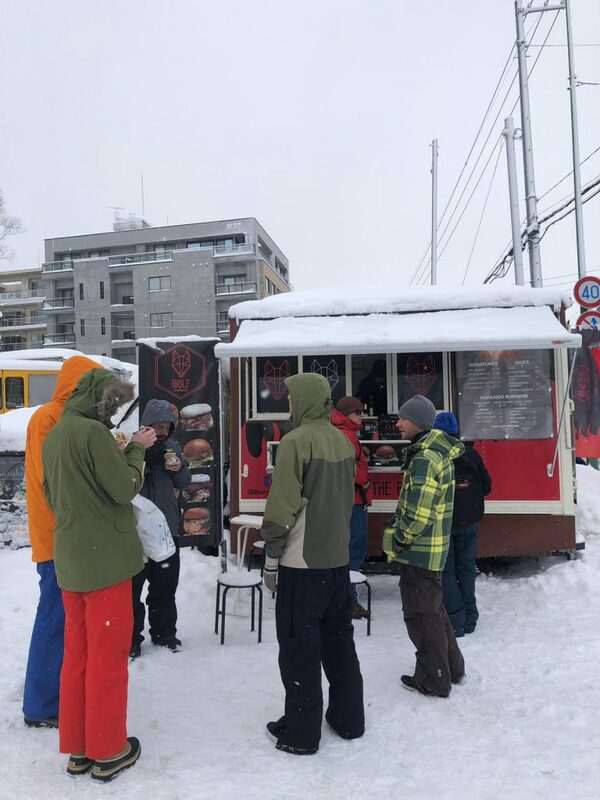 We set our sights on Hokkaido because it gives us access to an international audience, with good mix of a local and tourist crowd during ski seasons. Their pop-up store has been open for over a month now, but “sales have [already] been promising”. There are also plans to open a full-fledged restaurant at the end of this year in Niseko. I’d like to thank Mr Ho for his time!